Since our time is money we need to spend it where it will give us the most return, with real buyers and sellers.Spinning our wheels with a buyer that isn't real is a waste of our resources and keeps us from serving real clients and making a living. A Willing Buyer is ready to commit when they find a home that meets their needs.They are not looking for excuses or putting up roadblocks. They are willing to compromise and recognize there are no perfect houses. If a couple is looking for a home it is important to have a willingness from both parties. 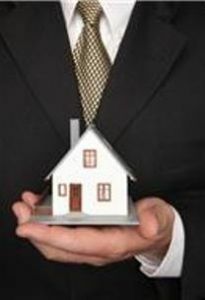 An Able Buyer has the financial ability to buy. Oh I have seen plenty of buyers that were ready and willing but had ZERO capability to buy and all the looking and negotiating in the world can't make a deal happen. A buyer coming with a preapproval letter or bank letter stating they have the funds to buy is music to my ears. It gives the buyer clout and extra negotiating power too. When a ready, willing and able buyer contacts a dedicated agent, that buyer can expect to find a home and have their agent work hard for them showing them the steps to buying a home. There will be success on both sides. Remember we are salespeople and love to make the sale but we also love to get paid. Why Agents Want to Work with Ready, Willing and Able Buyers. When looking for an agent in Clarksville TN, Debbie Reynolds with Berkshire Hathaway Home Services PenFed Realty will work hard for you. When you need real estate services in Clarksville contact Debbie at 931-920-6730. Well said Debbie. We always look forward to closing day! I do too Sheila and I like knowing that there is a good chance we will get there.